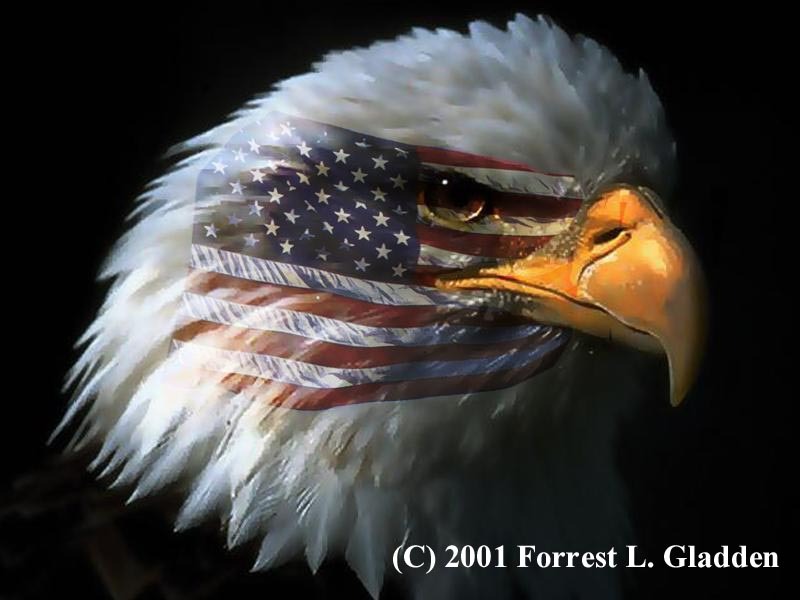 This possibly one of the most popular images created to depict America's resolve with the fight against terrorism. This classic image of an American eagle adorned with a mask of "war paint" was created by a true American patriot, Mr. Forrest Gladden. Forrest was recently discharged from the Army prior to 9/11 and shortly after that tragic attack on America, Forrest reenlisted in the Army Airborne, and was with one of the first teams of combatants to parachute into hostile Afghanistan territory. Forrest is a true American patriot, a hero and a friend. Honor him by asking permission before you use his beautiful image. See another version created for our Military (1060 x 850 ) Click here.